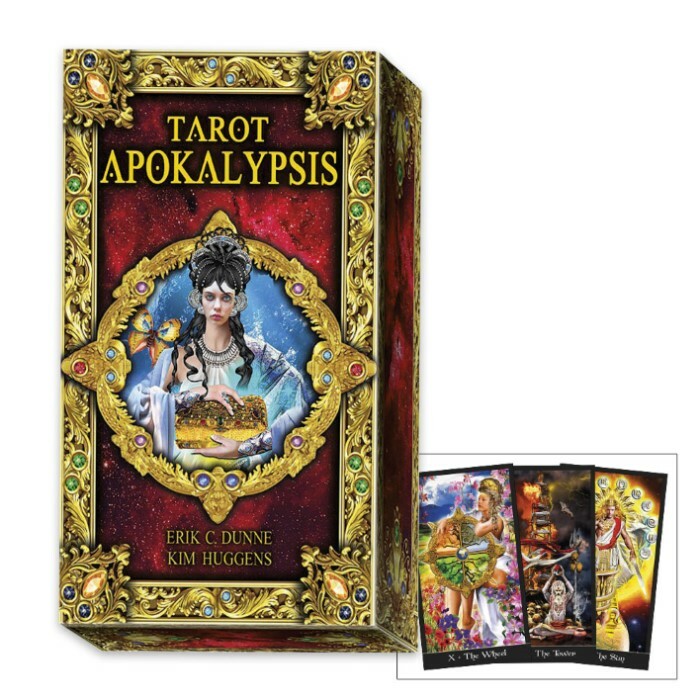 Apokalypsis Tarot Card Deck | BUDK.com - Knives & Swords At The Lowest Prices! 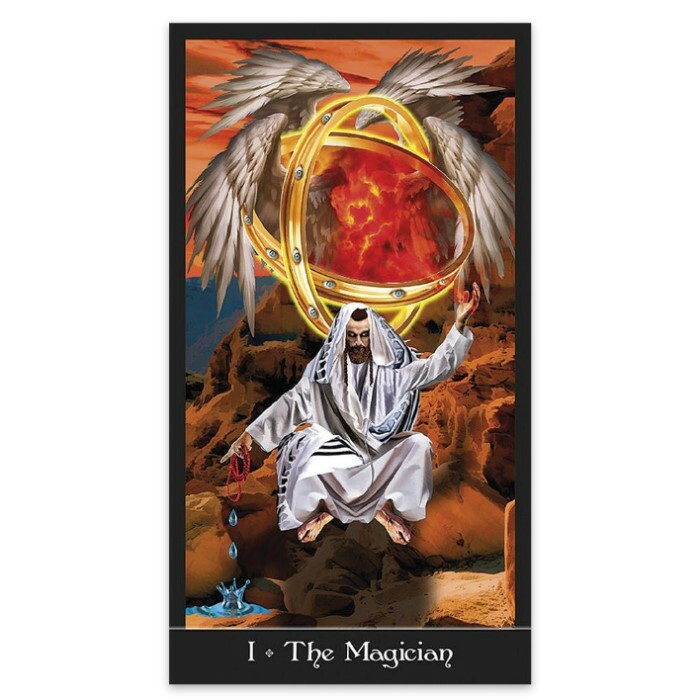 Revelations of truth and light await in the Apokalypsis Tarot Deck, the follow-up to Erik Dunne's popular "Tarot Illuminati." 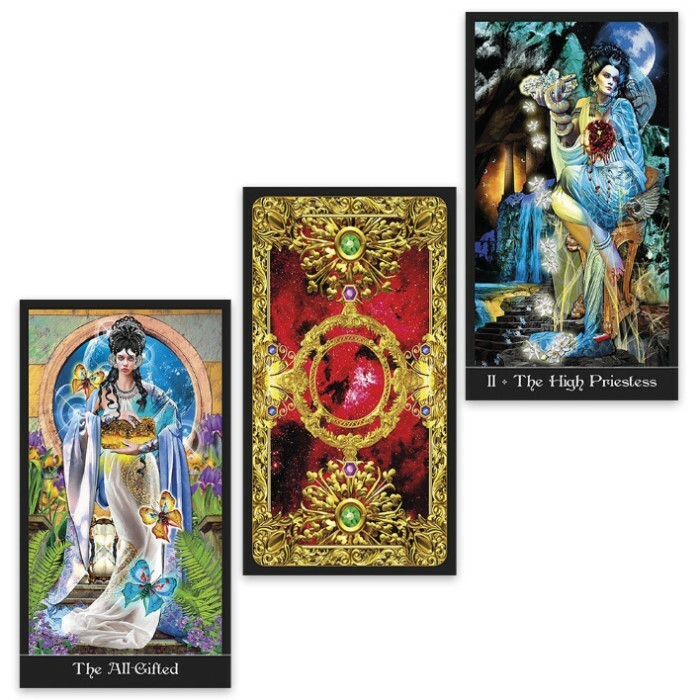 With richly detailed illustrations inspired by ancient spiritual practices, these cards possess all the vivid color of stained glass and the wisdom of our higher awareness. From the Eleusinian mysteries of Greece to the deserts of ancient Egypt, from the beauty of classical Rome to the Shiva rituals of India, this deck highlights the pathways of the spirit found in the great mystery traditions of the world. The breathtakingly beautiful cards make great home decor, as well, and are a fantastic gift idea!